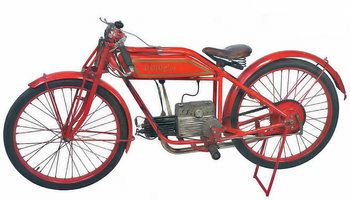 Dall'Oglio started in 1926 by engineer Guido Bologna who had left GD to build their own bikes. They used a horizontal cylindered engine which was presented to the Trade Fair in Milan the same year. The 125 cc engine had cast iron cylinders with the head made of bronze and a two speed gearbox.